OK, so one night you’ve come home from a long day work or after an intensive gym session, you are exhausted, grumpy and hungry. All you want is to change into your cosy pyjamas, turn on your favourite TV show and do nothing. You might consider ordering a takeaway so you don’t even have to bother cooking. However, that takeaway is not the best for your wallet and will generally take around 45 mins until its delivered to your doorstep. Not to mention you’ll probably feel guilty about what you have eaten afterwards. You want food NOW? 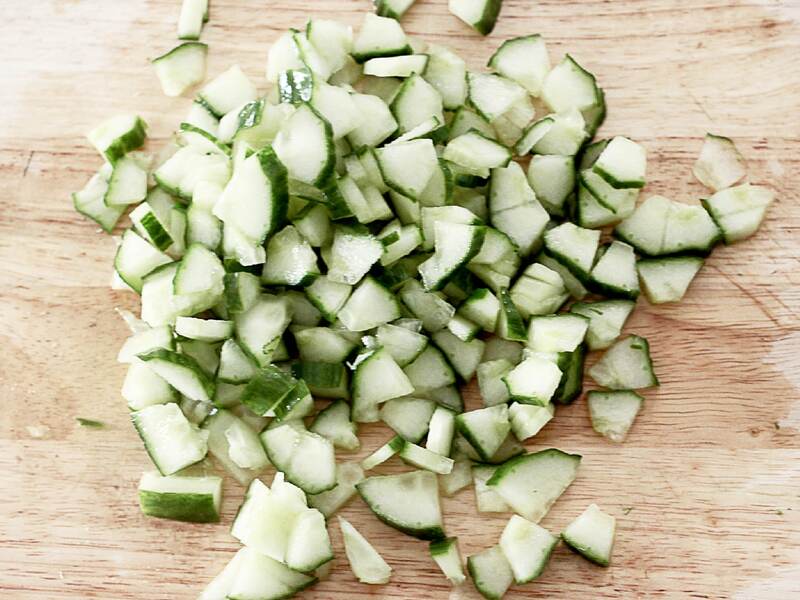 Tasty, easy to cook, low budget and also nutritious, so what can you make in just 10 minutes? 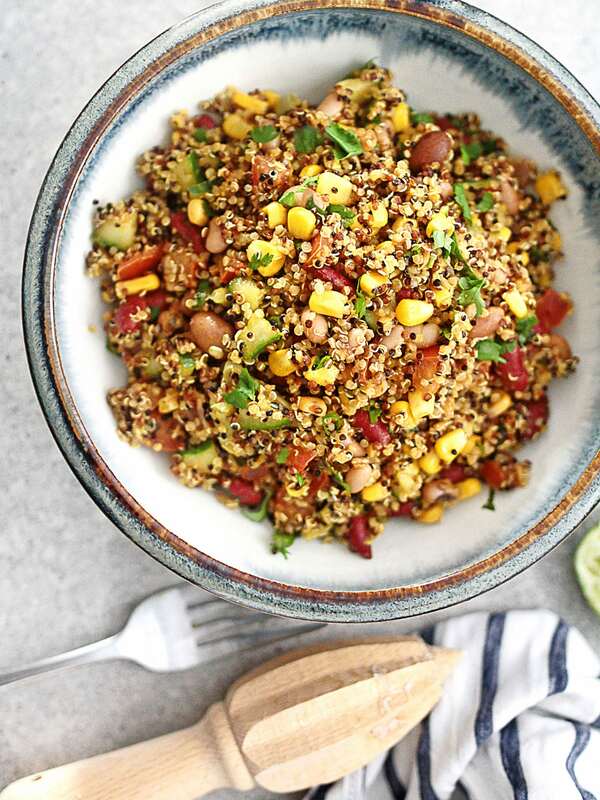 This Mexican quinoa salad is shamefully easy to make. 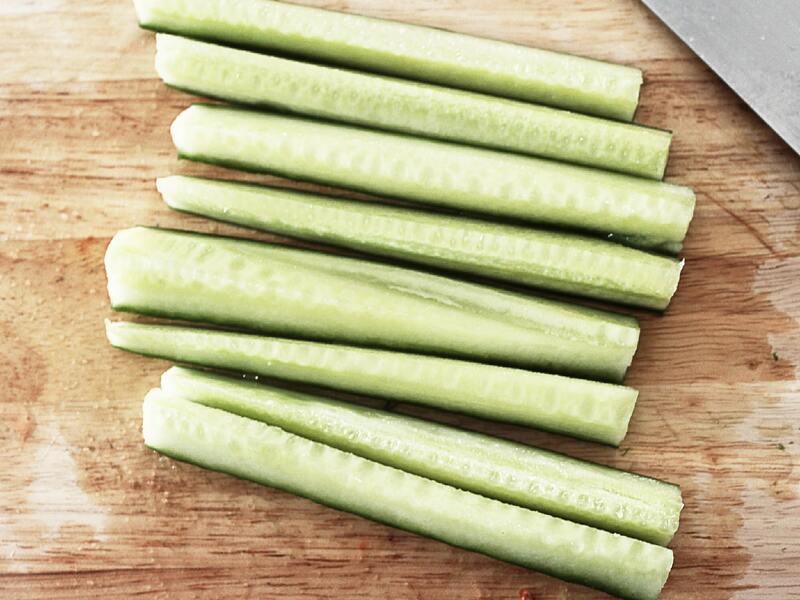 It is super flavorful and refreshing. The colourful ingredients create a beautiful dish to satisfy your appetite. First I cheat a little bit and don’t cook the quinoa or the beans myself, I use ready-cooked to save time. 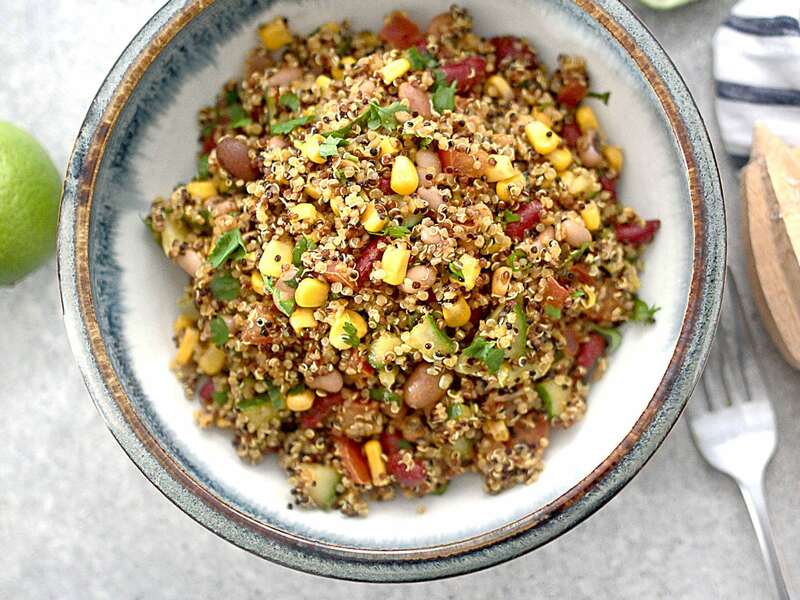 Just remember to drain your ready-cooked quinoa thoroughly so that your salad won’t be too watery. 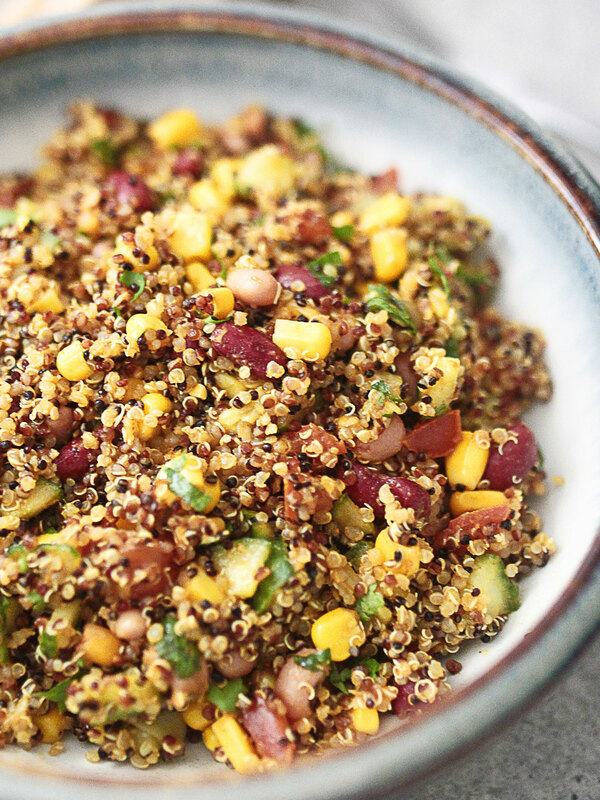 If you prefer to cook your own quinoa, please feel free to do so. 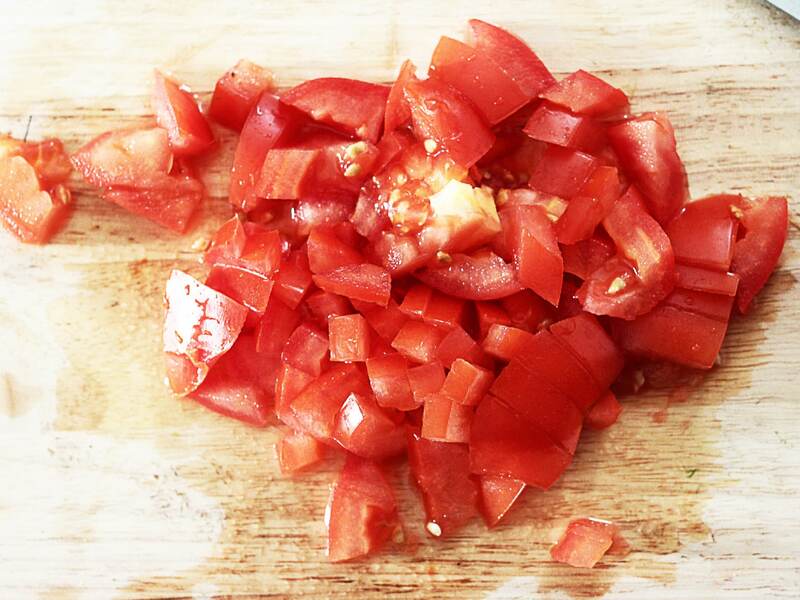 Wash and chop the tomato into fine pieces. 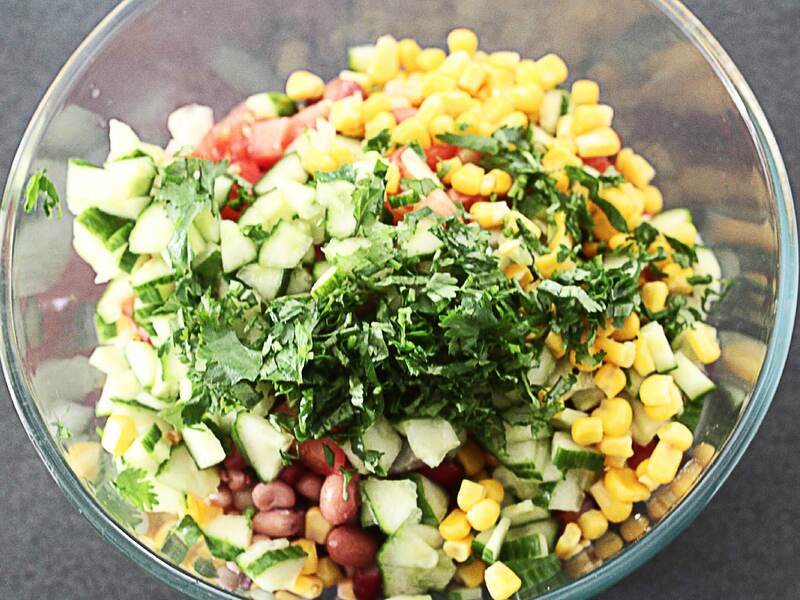 Combine all ingredients in a large mixing bowl (with Jalapeno if you like it spicy). Gently mix everything together and it is ready to serve. Yes, it really is that simple! As you can see I have spent quite a decent amount of time chopping, If you have a good food processor, vegetable dicer or mandoline, You can even reduce the preparation time to just 5 mins!!!!!!!!! Isn’t that amazing! 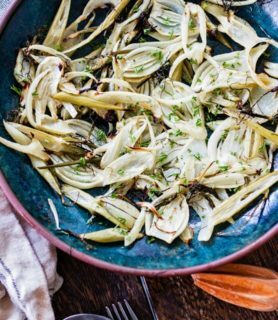 This is an ideal hassle-free recipe for someone is tired or lazy that still wants to be healthy. 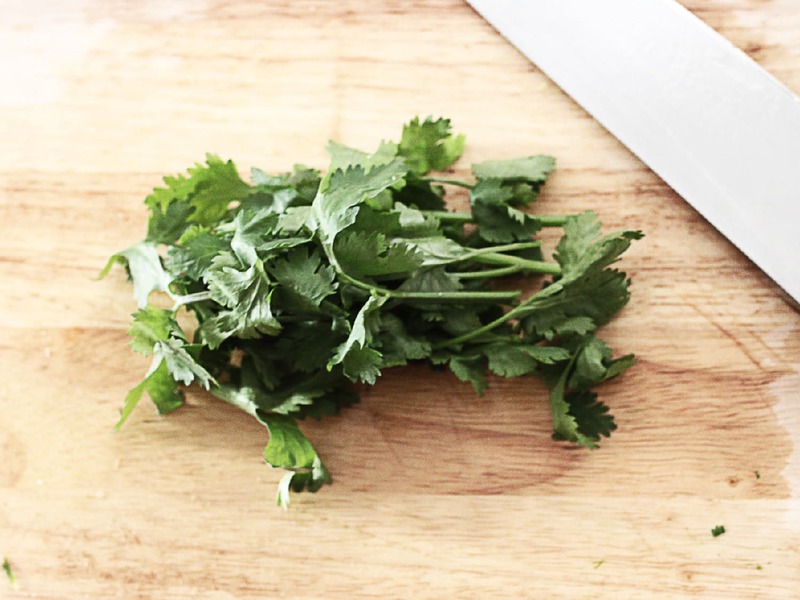 Sprinkle the coriander on top and serve.